The $15 minimum wage bill for Denver City and airport employees passed on March 11, 2019! 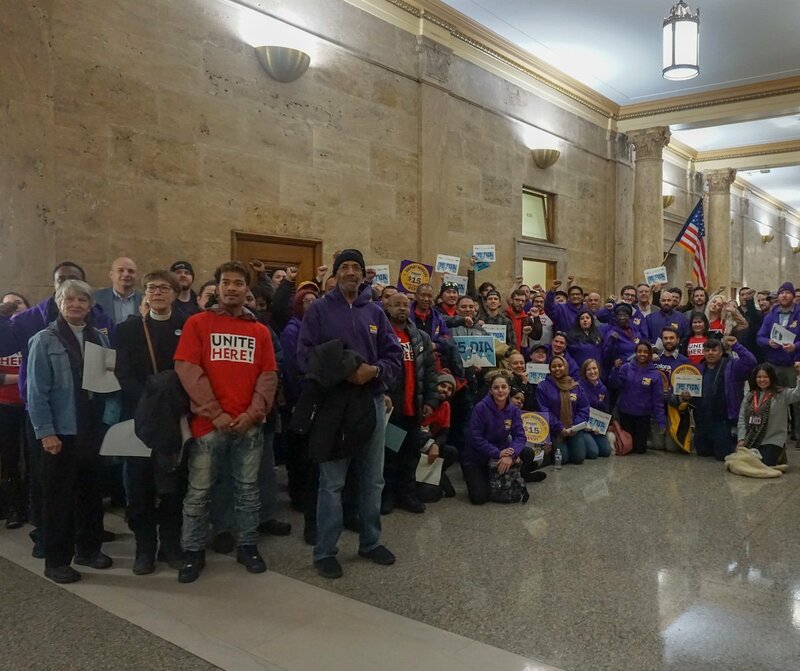 The $15 minimum wage bill for Denver city and airport employees 1st vote was passed by unanimous consent by Denver City Council on March 4, 2019. The bill will be voted upon a second, and final time, on Monday, March 11 at 5:30pm. 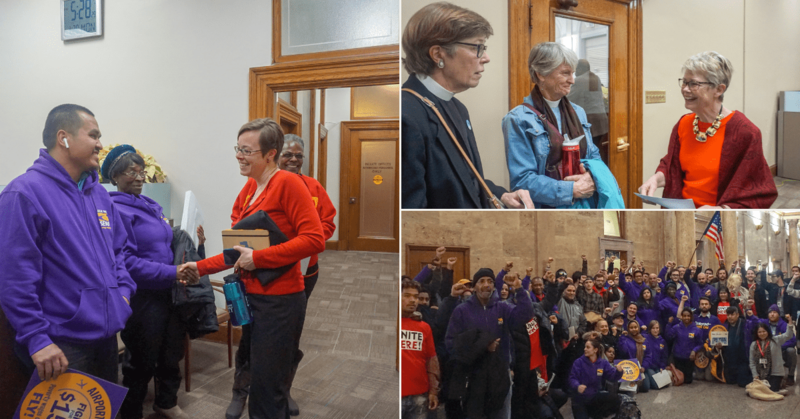 On February 14, 2019, joined by representatives of SEIU, DALF, Together Colorado, CIRC and UNITE HERE, Mayor Hancock and Council member Kniech announced the introduction of a bill to raise the minimum wage for DIA workers and other Denver-contracted workers as well as direct employees of the city. Over the next few weeks, the bill will be heard and voted upon by Denver City Council. Please join us for any of the dates below. The dates in bold are the highest priority. 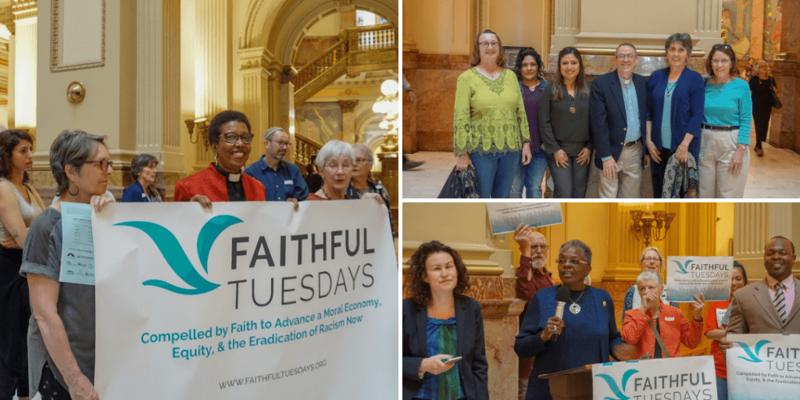 Original article: On January 28, 2019, Together Colorado Faith Leaders delivered a letter to Mayor Hancock and Denver City Council in support of Mayor Hancock’s initiative to raise the minimum wage for Denver City Employees to $15/hr and in support of the $15 minimum wage initiative for DIA workers that will be on the Denver City ballot in May 2019. We want to extend our sincere thanks to Mayor Michael B. Hancock for his November announcement and to all the Denver City Council members who met with us on January 7 and again on January 28. 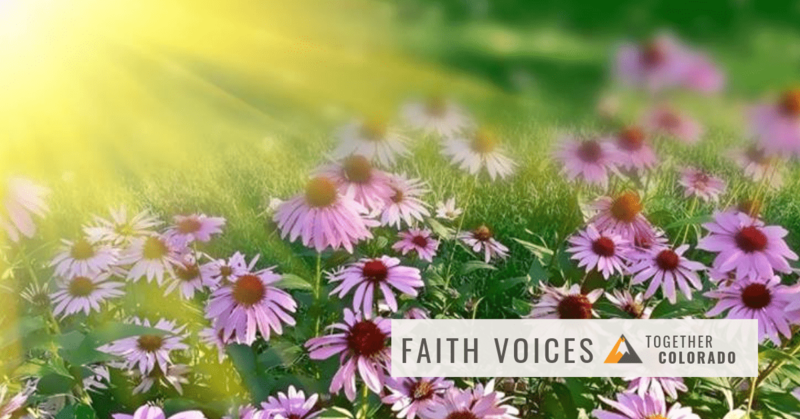 We the undersigned metro Denver faith leaders are excited to express our support of your proposal to increase the minimum wage for all City of Denver workers (including contractor, vendor, and tenant employees) to $15 per hour. All workers deserve to earn enough to live a life of dignity – in which they can shelter, feed and care for themselves and their families. Many airport workers are forced to rely on public assistance for their basic needs, even while they work full-time jobs. This means taxpayers — who have already invested billions in airport subsidies — are also asked to make up the difference when employers choose to pay wages and benefits that fall short. People working full time should never be forced to live in poverty because their wages are so low. 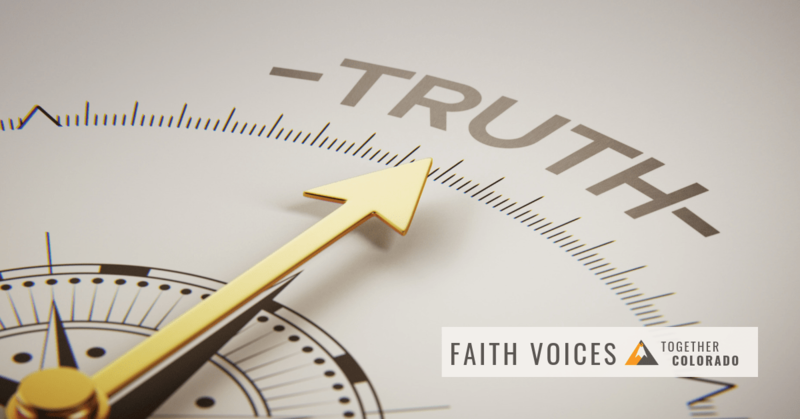 As leaders in our faith communities throughout metro Denver, our various faith traditions call us to care for our neighbors. As members of an organization committed to putting human dignity at the center of public life in our state, we know that increasing the minimum wage for Denver City employees, including DIA workers, to $15 per hour is a right step to take. 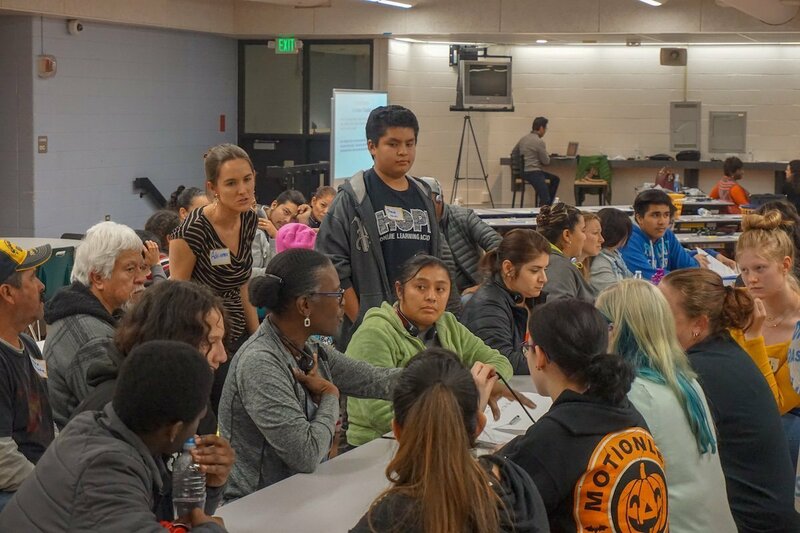 We encourage your compassionate action as mayor of Denver and a prominent leader in the metropolitan region. Signed by 111 Metro Denver Clergy and Faith Leaders.